Barbara Pearson-Sawyer, GRI, ABR, SRS, SRES, is a multiple award-winning Real Estate Broker, Top Producer, and Entrepreneur whose unwavering passion, dedication, and personable approach to every transaction have all earned her the reputation as a service-centered industry leader. 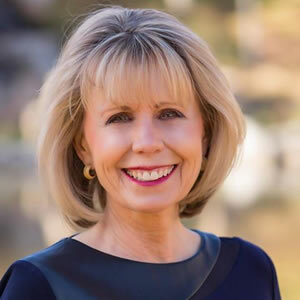 Over the course of two decades, she has garnered extensive hands on experience in the real estate space, specializing in residential, commercial, vacant land, and ranch properties across Colorado. Immersed in show business from just nine years of age, Barbara’s initial taste of stardom catapulted her into the entertainment world where she was part of a six-piece band with her sisters. Up until she was 19, she worked with the top people in the television and stage professions like Jimmy Durante, Phyllis Diller, Sonny and Cher, and Bob Hope. From there, she paved the way to an 18-year long career in the travel agency field traveling to over 40 countries around the world. In 2003, Barbara and her husband Wayne ventured out to Salida, drawn to its small tight-knit Colorado mountain town community. It wasn’t long before she became an active member of this beautiful mountain town, serving as President of the Kiwanis Club, Active on the board of the Salida Chamber of Commerce for three years and establishing an annual fundraiser called “Adopt a Grandparent.” Presently, she serves on the Hospital Foundation Board. Fifteen years later, and Barbara has cultivated all-encompassing local marketplace familiarity to ensure each buyer find the perfect home at just the right price. Also armed with exceptional negotiation skills and marketing acumen, she is adept at selling her seller’s properties for top dollar. When she isn’t selling or listing properties, Barbara and Wayne immerse themselves in everything “The Heart of the Rockies” has to offer, from hiking and climbing a 14er, to skiing off a mountaintop. She is also a Speaker and a Certified High Performance Coach who recently authored a book that empowers people to lead “rockstar” status lives. Above all, she cherishes nothing more than spending quality time with her loved ones, including her two precious grandsons. When it comes to her valued clients, Barbara Pearson-Sawyer stops at nothing to not only meet their expectations, but vastly exceed them. Most of all, she is here for you, as your trusted ally who will keep you well-informed every single step of the way. To start actualizing your real estate goals, feel free to reach out to her directly. She looks forward to assisting you!